This post is only for knowing about tips which is helpful in our daily development ,some times basic tips will be very silly,but if you don't know about them,then those makes may be one day or much time to learn them .And it is very very important thing is to knowing some useful tips ,which are helpful to boost up our development without wastage of our valuable time.I thought this post is going to much useful for blog visitors.So i just add the new tip when i got it in my development.Stay tuned up-coming tips by book mark this post. Ordinary buttons can not be set smaller than 109px, if we want to set smaller width to button then we have to set 'MinWidth' instead of 'Width' property. When we move from Silverlight to WinRT can feel some gaps, especially when trying to check if a file exists or not in the isolated / local storage. In WindowsPhone store 8.1 ,We will use the GetFileAsync function, this function returns the file data if it exists, throwing an exception if it does not exist. In WP8.0,you can easily hide the soft keyboard by focusing the other UI element. In WP8.1,Fortunately we have InputPane class which is available from 'Windows.UI.ViewManagement'.So InputPane class having two methods 'TryHide' & 'TryShow' for hiding as well as showing keyboard. Some times when you place TextBox inside stackpanel,it may not fill available horizontal space .In this case we need to set HorizontalAlignment="Stretch".So the following code will be work for you. 1) We are limited to four application bar buttons. 2) We are limited to five application bar menu items to prevent scrolling. Previously in WP8.0,To determine mobile operator we are using DeviceNetworkInformation.CellularMobileOperator. Note: You must enabled your data connection. So we can remove it by using below code to add our custom buttons. Clearing the \bin and \obj folders and then recompile ,it will resolve your issue. By adding PhoneApplicationService = new PhoneApplicationService() on the line above code. In Windows Phone 8.1, anyone can take a screenshot by pressing the power button and the volume-up key at the same time. A customer was concerned about privacy in their enterprise app and asked me if they could disable this functionality for Windows Phone 8.1 (both WinRT and Silverlight apps). Recently when i am trying to post message on facebook from my windowsphone app ,i got above error.I don't know "why it happened?" after doing lot of research i found the reason is my current facebook code is works fine for my previous "facebook apps" and not working for my newly created facebook app.Because now new facebook app approval is very strict and we need to submit all details of our app to facebook for approval and it will be take 7-14 days .Please read this from facebook developer site. Please note here i changed only one permission "publish_stream" to "publish_actions".Because now ""publish_stream" permission is no longer available in new facebook version. In technically no difference .Because 'string' is an alias for 'System.String'.But we must follow guidelines while using both.So the question is "when we need to use them? I use string to declare types - variables, properties, return values and parameters. This is consistent with the use of other system types - int, bool, var etc (although Int32 and Boolean are also correct). I use String when using the static methods on the String class, like String.Split(),String.Format(), or String.IsNullOrEmpty(). I feel that this makes more sense because the methods belong to a class, and it is consistent with how I use other static methods. Because Html content tag includes ('<' &'/>') which treated as xml element and at this case xml parser is failed to parse. CDATA:Text inside a CDATA section will be ignored by the parser. It is very regular development error,when we are trying to deploy and debug a Windows Phone app from Visual Studio , and we ended up getting the following error. To resolve the error, following steps were followed. 2)In the Configuration Manager screen, set the platform to ARM and then click close button. Windows Phone 7, Windows Phone 8 & Windows Phone 8.1 (Targeting Silverlight) uses Silverlight API's. And how Windows Phone 8 & Windows Phone 8.1 relate to Silverlight, well they use the Silverlight API's that are available for mobile application framework. Windows 8 & Windows 8.1 both target WinRT API's. Currently Windows Phone 8.1 also support WinRT API's. So, if you want to create Windows 8.1 & Windows Phone 8.1 applications that you can do by creating a Universal application targeting both the platforms (They have convergence of 90%). You can develop Windows 8, Windows 8.1, Windows Phone 7, Windows Phone 8 & Windows Phone 8.1 applications using C# & XAML. I hope You already known about like windowsphone 8.0 ,now no .XAP files in windowsphone stroe 8.1 build file,so wp8.1 store build file having only AppX package and not Xap.In windowsphone 8.0 manifest file name is "WMAppManifest.xml",but in windowsphone store 8.1 it is renamed to "package.appxmanifest" file .And you may read more here. The maximum size of the XAP package file is 1 GB. The maximum allowed size of an AppX package or bundle is 4 GB. 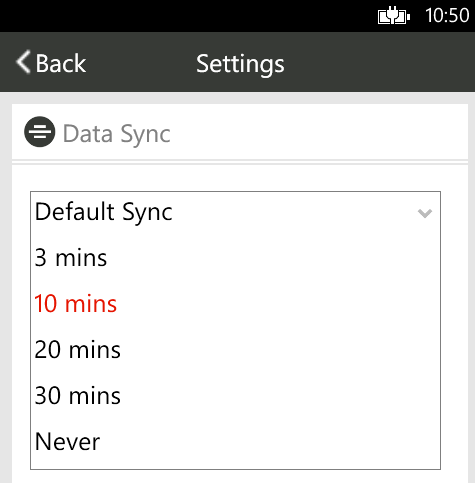 Some times we may need to make execute a function after a specific time.However in windowsphone 8 "Thread.Sleep()" method used to make a function to wait for specific time,but it is no longer available in windowsphone store 8.1 hence alternative is "Tasks.Task.Delay()" method.And both method takes timespan as parameter to be wait for specific time. In windowsphone Image control supports JPG/JPEG and PNG file formats.But directly Gif image file doesn't supported.if you want to work with Gif ,you must read this post in my blog. When you didn't measure the control width and height ,then you may get ActualHeight & ActualWidth value's zero if you are trying these values in earlier of "InitializeComponent()" statement. Because of page hasn't actually been drawn yet.So if you want to looking for control actual width & height values ,you should wait until page has been loaded that is "Loaded" event fire. Here stack panel (i.e,ParentStack) doesn't measured with height and width.But actually its child item TextBox having two lines of text, so indirectly stack panel having some height and width values to fill child item content .When i tried to get those values in constructor its actualwidth and actualheight always returns zero,but in Loaded event i get correct actual width and height values because of page has fully drawn. In wp8.0 we just need to call Focus() method,but in wp8.1 we need to pass "FocusState.Programmatic" as parameter to Focus(). Previously in windowsphone 8.0,to determine screen resolutions we are using the "App.Current.Host.Content.ScaleFactor" .But now its not working in windowsphone 8.1,So this post is explained about what is the alternative way for detecting screen resolutions in windowsphone store 8.1. In windows phone store 8.1 ,alternative for "MessageBox" is "MessageDialog"
Ex:Here i am trying to navigate to "MainPage.xaml" page. Microsoft had always maintained backwards compatibility with most of their products.Compatibility has been one of the main reasons Windows has seen such great success,But unfortunate it wont work for windowsphone.I mean all higher version OS apps can't run on below versions. Ex:If you develop a app targeting Windows Phone 8.0 , then this will run on Windows Phone 8.1 device but if you are developing an app targeting Windows Phone 8.1 , then it will not run on Windows Phone 8 device. So when you develop universal apps for windows&windowsphone,you may need to check which platform device is currently targeted to run the app. MapsTask launches the Maps application.And also you can provide a search string that is used to find and mark locations on the map. Note:In Windows Phone 8, if you call Show in OnBackKeyPress(CancelEventArgs) or a handler for the BackKeyPress event, the app will exit.and you must read this link. Here after clicking on hyperlink from your page will be redirect to "MainPage". Here NavigationService "Source" property used to Get/Set the URI of the page .By Setting this property, the Application Frame loads the specified page. Note:For wp8.0 you need to specify the TargetName to _blank for opening the external link or else you will receive the “NavigationFailed” error.And for wp store 8.1 no need to set it. Unfortunately it is difficult to find this kind of error ,because there's not enough information in the stack trace rather than It just tells you that something is going on at XAML load time. Most of time this error occurred when you use the unknown resource your xaml page and these errors happen very early in the XAML booting process after InitializeCompoent() method is called. 1)If you are using maps in your xaml page,you should check ID_CAP_MAP in the capabilities tab from WMAppmanifest.xml file,otherwise you will get System.Windows.Markup.XamlParseException error. 2)Bad attribute value,for example Margin="12,17,0,28," see here extra "," at end,so it is also cause the above error. 14)Windows Phone 8 Build Action Types: Why you must set Image "Build Action" to "Content" instead of the default "Resource"? Generally there are two ways to include an image(other resource) in a Windows Phone project : as build action "Content" or build action "Resource". So to set image build action ,Open solution explorer right click on your image file and choose properties then set 'Build Action' to 'Content' or 'Resource'. 13)WindowsPhone UriKind:What is difference between Relative and Absolute? Absolute URL contains all the information necessary to locate a resource. Note:Here you must set UriKind to Absolute,otherwise you will get 'UriFormatException' error. 1. Hold the Power button and the Windows Key at a time. 2. This will take a screenshot on the Windows Phone 8 device which will be stored in the Screenshots album. Windows Phone 8 provides the Windows.Phone.Devices.Power.Battery class which can be used to retrieve the battery information of the windows phone. This is the sceneria where multiple buttons having same click event,and so we need to find which button is clicked on code behind when "Click" is fired.For example here i taken 3 buttons b1,b2,b3 with same click event is "GetName_Click". See in below there is explicit style name is "MyCustomStyle" for TextBlock,so you can get this style with c# and apply like this. Styles makes life easier ,you can reuse them within the entire Application.And it is very best practices styles can included in App.xaml page to available for entire application. Here created style need not to have key identifier and you don't need to specify key identifier when you use this kind of style. Here you don't have to specify the style for the TextBlock , it will automatically pick the above style when you created TextBlock in your application. Here created style must have key identifier and you must specify that key identifier when you use this kind of style. For example , the developers can create a style for the textblock with a key identifier in the app.xaml file and then reuse them in different screens of the application. The above style is for the textblock is given a name with the key attribute "x:Key="MyCustomStyle" . To refer to this style for a textblock , use the sample code for the textblock as shown below. Note: This post is not a static,and it will be updated by new tips in futher,so it may be helpful for you if you bookmark this post and check daily.And in between you must read this WindowsPhone Basics. Can you add some tips about working with files (local storage, sd card, cloud)? Clear Web browser control cookies before the new page load . how can i solve the problem? thank you. Hello, I went through your blog on using the drawerlayout in windows phone using the GitHub Libarary. However I am looking to create the same programmatically within my app. Could you explain how can I do the same? I am facing some Problems during my app development.that is Actually I want to get Application List which are installed in device along with data usage per App same as Microsoft Data Sense App.Please any one have Idea about this? Please Give some Suggestions on this Guys. Is it possible to retrieve browser (IE) cookies in windows phone 10 (or 8.1) application? If yes, how? Please respond. Thanks in advance. videocontelecom the telecom arm of the Indian conglomerate Videocon Group, is all set to connect with modern youth segment and extend its presence in the market. hey nice source for us and thanks for sharing the blog and coding with us and i read the blog and you have done a amazing that i have needed and again thanks for sharing this blog with us and i bookmark this blog for the future use. I have visited your post and found some information which is very important for me. So, please keep posting. Thanks for the great information on windows app. its very useful for me. great article ! I love your post. Thanks for sharing it.